I’ve heard about this book for a while and was really curious about it, especially since so many of my students are Mexican-American. I came into reading the book knowing nothing about it, so I was pretty delighted to find that it takes place during the Great Depression. The story centers around thirteen year old Esperanza’s journey from spoiled, wealthy rancher’s daughter in Mexico to Californian field worker. The story is packed with so many issues of that time and place: striking workers, the competition amongst different ethnic groups for work (including white families from Oklahoma), worker exploitation, the building of the railroad, racism in both Mexico and in the United States, and the Mexican Repatriation of the 1930s. Despite the inclusion of all these issues, none of them feel shoehorned-in at all, and all of the characters–particularly Marta, a girl in the Mexican camp who is particularly vocal about worker’s rights–feel authentic. Given that the book touches on so many issues, it would be fascinating to use it as a class novel in 4th, 5th, or 8th grade in California: 4th grade because the Social Studies curriculum is California History, and 5th and 8th because the curricula are U.S. History. (Sorry, I don’t know what 4th graders study in other states!) 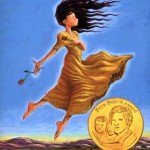 Even though Esperanza Rising was published 16 years ago, it’s incredibly timely in the current American political climate, especially with the presidential election happening this year and the recent recession. For Californian students and students in other western states, a story about field workers is always relevant; the fact that we’re in our fourth year of drought makes it even more so. The real-world connections leap off the page, making the book a great companion to, or introduction of, a Project Based Learning (PBL) unit. 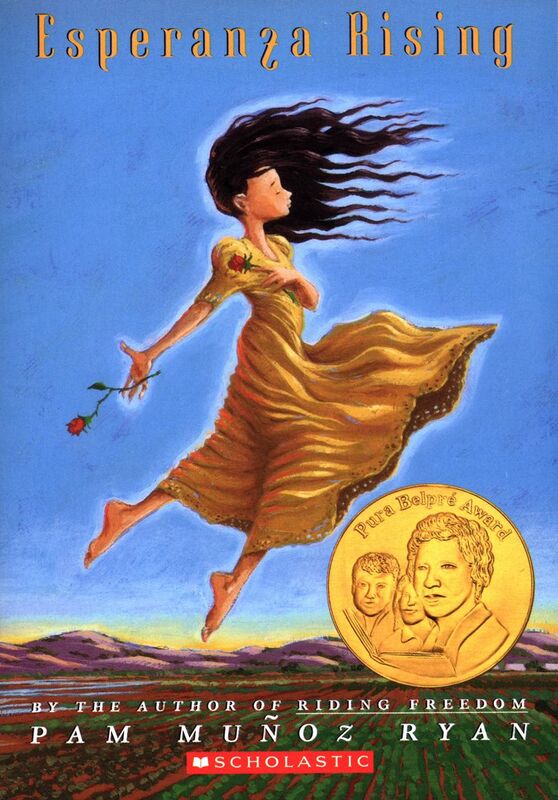 The character of Esperanza reads a little young to me, so I think 8th graders might find her a little unconvincing, but I think that could bring up a good discussion about characterization, since Esperanza’s wealth keeps her childish in a lot of ways for much of the book. The book’s AR level is 5.3, so it may not be entirely appropriate for every group of 8th graders, but it could be a good fit for a supported class, or one with a large population of English Learners or struggling readers. However, it feels like a clear middle grade book to me. As I read, I kept thinking about A Little Princess, and the similarities and differences between the two stories. Like in A Little Princess, where we quickly learn that Sara is the richest girl at her school, we meet Esperanza in all her rich, spoiled glory. I read the book a long time ago, but I remember Sara being depicted really saintly, never losing her kindness even though she’s treated horribly. Esperanza, however, is fairly insufferable from the beginning, and it takes her a while to stop thinking she’s better than the peasants and other farm workers she encounters throughout the book. I ended up liking Esperanza a lot more because of her character growth and her eventual maturity. Her transition to poverty is also interesting, and does a great job establishing the options available to women in Mexico (well, in many places) at that time. The author’s note in the back of the book explains that the inspiration for the story was the author’s grandmother, who, like Esperanza, had emigrated from Mexico to a worker’s camp in the San Joaquin Valley during the Great Depression. A lot of specifics from author’s story is seen in the character’s, and the author herself grew up in that area of California. I like that the author is open about her personal connection to the subject matter: it lets students, especially students who don’t often see themselves in books, know that their personal stories, and their family stories, are valuable and worth writing about. Using this book as a class novel could be a really cool way to introduce a unit on a more personal type of writing, and one that incorporates interviews or family heritage. The book is a great example of research-based historical fiction, but with the added complication of fictionalizing a family story. - Great Depression Mexican-American farm workers from their POV! - teen girl protagonist with no romance! - so much potential for writing projects! - super relevant to current events!